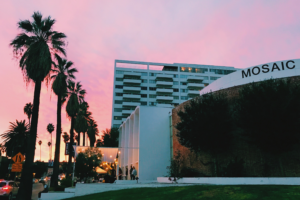 Mosaic—a Southern California church with more than 3,000 regular attendees—is among the first houses of worship in the nation to adopt an end-to-end native 4K-resolution file-based video workflow for media content creation. As an industry-leading network shared storage system dedicated to post production and content creation workflows, TerraBlock offers a shared file system and data management tools, along with the capacity to handle processing-intensive tasks, such as color grading and graphical overlays. It also delivers video, audio and data over Fibre Channel and 1/10/40 Gigabit Ethernet connections through a custom protocol that avoids the overhead processing and latency delays that can hamper other network storage systems.